A woman being described as an environmental fugitive has been captured in the Dominican Republic, the Boston Herald reported. The former head of Massachusetts’ largest asbestos removal training school, she was convicted in November 2008 of selling certificates to immigrants who never took the mandatory training course. Our Boston injury lawyers understand the serious threat posed by asbestos exposure in Massachusetts. Exposure to the material once used in building and ship construction has been linked to mesothelioma and other cancers and health consequences. In this case, the defendant allegedly sold the certificates from Environmental Compliance Training of Methuen, Mass. Prosecutors contended that several hundred immigrants were then sent to work at asbestos demolition sites through the defendant’s temporary employment agency. They were also paid “under the table,” saving more than $1 million in tax and insurance costs. The company was shut down in May 2007. Mesothelioma is a cancer that develops in the protective lining that covers many of the body’s internal organs. 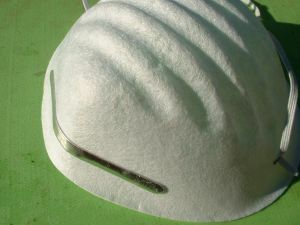 Many who develop the cancer have worked on jobs where they were exposed to asbestos fibers or inhaled asbestos particles. Development of cancer frequently occurs decades after exposure, thus many victims do not associate the illness with an event or exposure. Seeking the advice of an experienced Boston injury attorney can help determine whether your cancer can be linked to exposure in the workplace and whether you and your family are entitled to be compensated for your loss. If you have been injured in a Boston work accident, contact the Massachusetts workers’ compensation attorneys at the Law Office of Jeffrey S. Glassman for a free and confidential appointment to discuss your rights. Call 877-617-5333.